The major benefit of advertising on the internet is the immediate publishing of information and content that is not limited by geography or time. By advertising on the internet a company can reach potential customers locally as well as worldwide without been limited to time. Using internet advertising a company can reach approximately 300,000 potential customers in Cyprus and over 500 million worldwide. 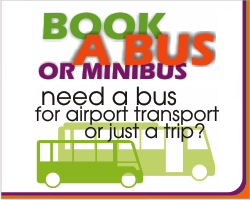 For a business based in Cyprus, or a business expanding in the Cyprus market, Cyprus By Bus is a very good option to advertise since most of its' traffic derives from Cypriot users. Cyprus By Bus receives thousands of hits every day from internet users in Cyprus as well as users from abroad. Users visiting our website from abroad are mostly tourists who will be visiting Cyprus in the near future. If your business is related to tourism then Cyprus By Bus is one of the top options to promote your business. Advertise any illegal products, services or organizations. Must not contain any pornographic contents. Must not campaign against individuals or companies. Cyprus By Bus may reject any banner that does not comply with its business statement and regulations. To get a quote for advertising at our website please complete the form below with all relevant information. We are committed to reply to your enquiry within 48 hours. Please complete the form and click the submit button. All form fields are compulsory.